The second recipe from the Hershey cookbook was a little bit more of a success taste wise but was completely wrong for what the recipe should be called. You see I decided to try my luck at a chili recipe (even though Eric says I already make the best chili). 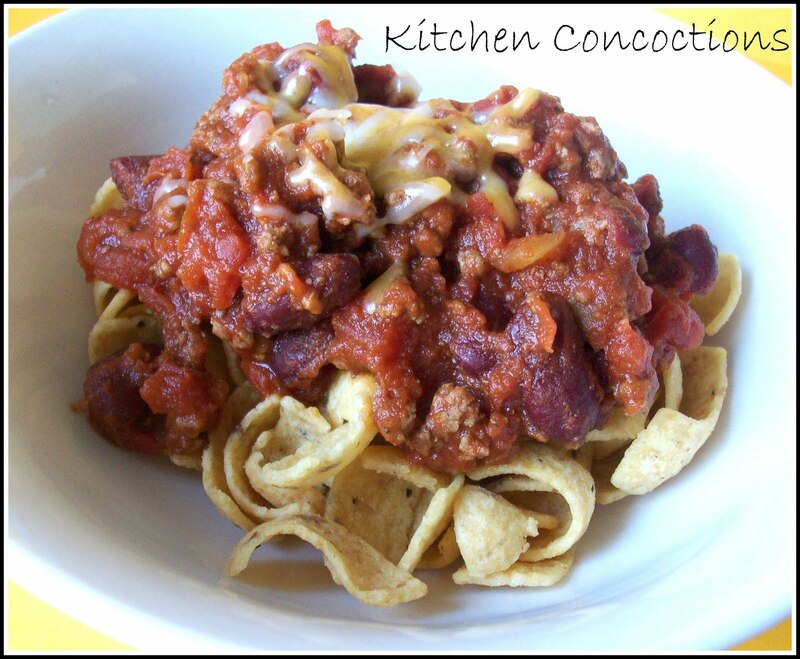 I planned it all out to eat this ‘chili’ as Frito chili pie so that is how I served it. But after we started eating I decided that this ‘chili’ was more of the constancy and flavor of Sloppy Joe’s. So the next day for lunch I took our ‘chili’ slapped some on a bun and ate it as a Sloppy Joe Sandwich. I liked it a whole lot better this way. But hey if you want to eat your Sloppy Joe’s served over chips by all means do! Notes: I pretty much followed the recipe except that I did add garlic powder, reduced the amount of tomato paste and cut the overall recipe in half (this makes A LOT and the original recipe made a whole lot MORE). Heat medium skillet over medium heat. Add meat and brown. Drain and return cooked meat to pain. Add onion. Stir in spices. Let cook for 1-2 minutes. Add tomatoes, tomato paste, and beef broth. Bring to a boil then reduce heat and let simmer of 30 minutes. 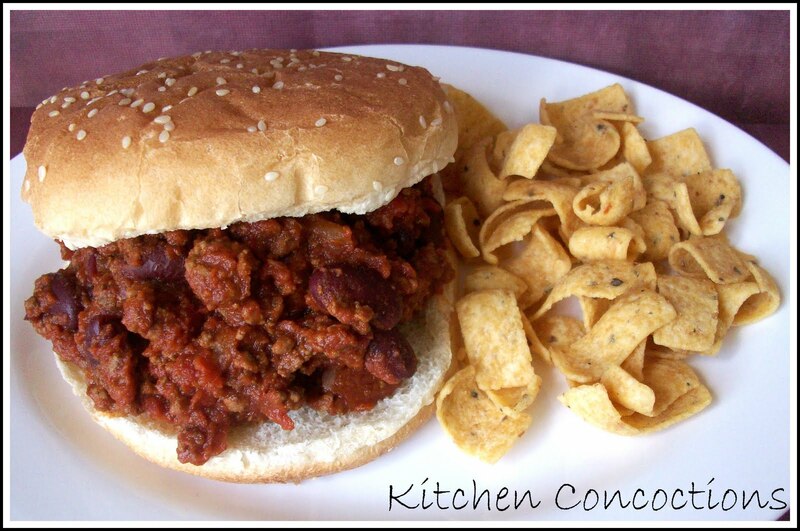 Serve over chips as chili or on a bun as Sloppy Joes. « Some cocoa with your chicken?